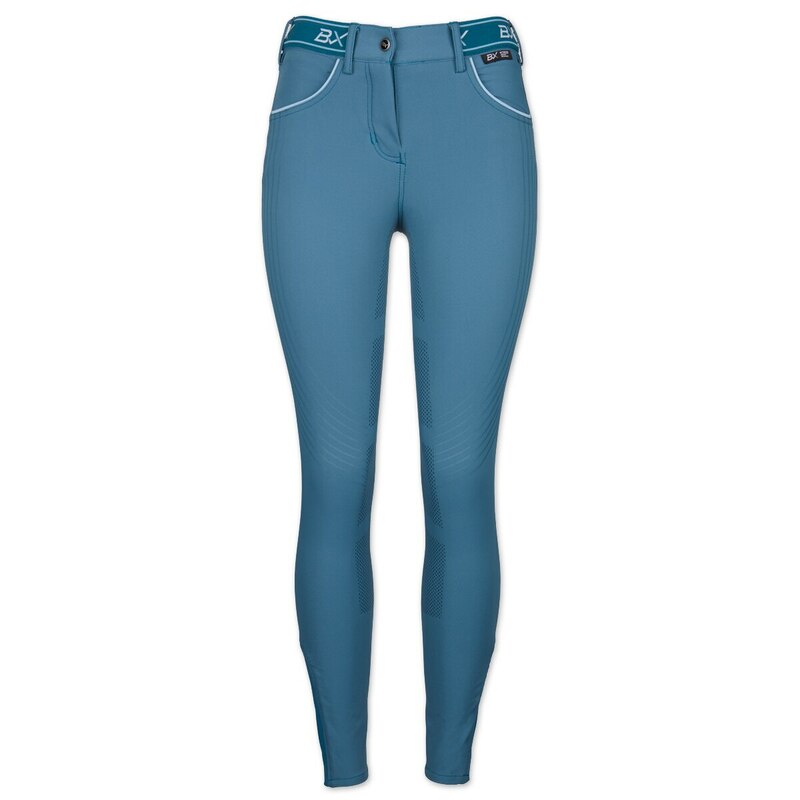 The B Vertigo Xandra Women's BVX Silicone Full Seat Breeches are technical, high-quality breeches have a silicone printed seat and COOLMAX® fabric that keeps you comfortable. 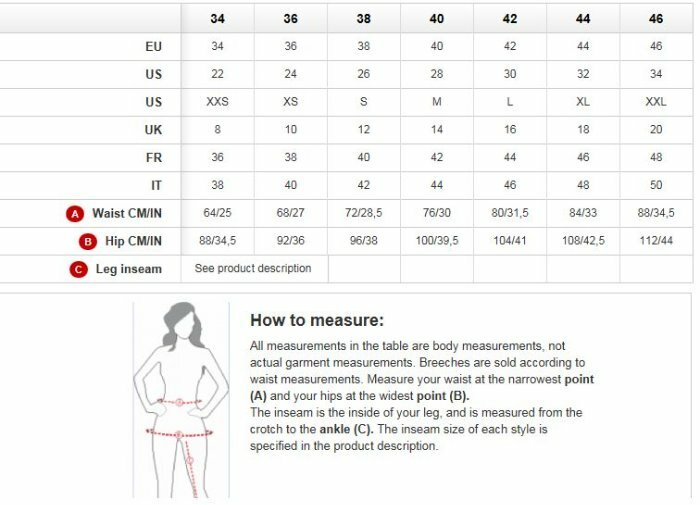 These innovative, breathable and sporty design breeches feature bi-stretch with a trendy, yet functional design and a comfortable mid-rise waist. 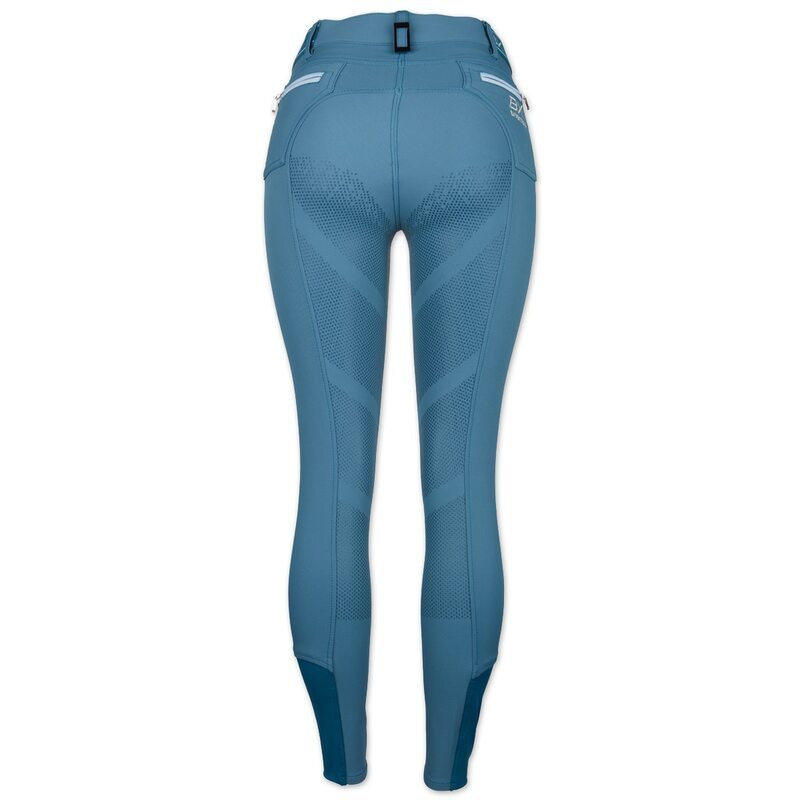 The elastic lower legs and maximum stretch will make these moisture-wicking, water repellent, windproof all-season breeches fit perfectly.